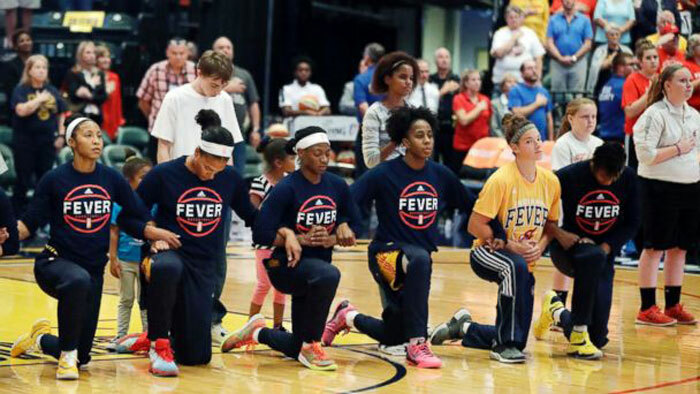 A lot of eyes at recent sporting events haven’t been on the American flag when the national anthem is played, but at one or more athletes kneeling on the field. The movement was started by 49er’s Quarterback Colin Kaepernick, wanting to raise awareness of violence against African-Americans. Kaepernick has recently shared he’s received a number of death threats for “being unpatriotic” and not showing respect for those in the military who gave up their lives for the nation. The irony, of course, is that one of the American values for which they sacrificed their lives was for Freedom of Expression. Kaepernick stated he’s not intimidated and if he were to be killed, it would be proving his point. African-American athletes using their visibility to make a political statement is decades old, and includes the “Black Power” salute in the 1968 Olympics and Mohamed Ali’s protest against the Vietnam War.